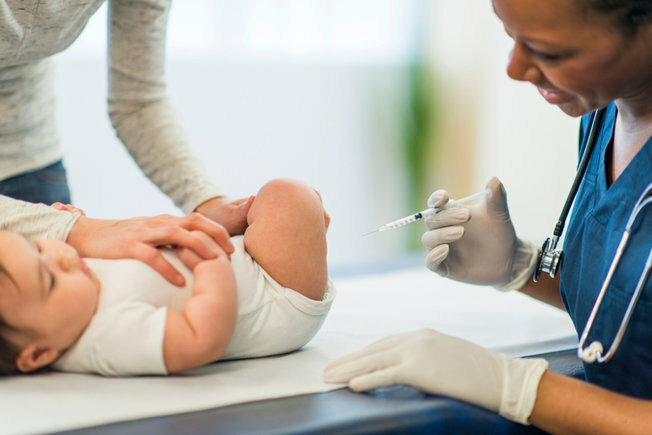 Mom, the Intern: Vaccines aren't about YOU. Remember back in January when I said this was going to be my year of honest blogging? How if I had something to say, I was going to say it and not let the fear of others' opinions hold me back? Well, I saw a KSL News headline today and knew the time had come to do just that. It reads, "With more parents choosing not to vaccinate, Utah on the brink of losing herd immunity." As the anti-vaccination movement has continued to pick up momentum (despite having its most compelling scientific evidence debunked years ago), scientists and medical professionals foresaw this problem long ago. We've been warned if we skip our vaccines, those diseases which were previously a tale of times gone by will come back with a vengeance. And they are. The KSL article explains the threshold to preserve herd immunity against those diseases for which we immunize is roughly 90 percent. However, Utah's kindergarten classes are only 91 percent fully-vaccinated. In specific areas, the article elaborates the vaccination rate is much lower -- for instance, Carbon County reports a 77 percent full-vaccination rate. In Park City, it's 87 percent. Once a community fails to maintain the 90 percent vaccination threshold, it is susceptible to outbreaks. Perhaps you think your child falls within that 10 percent of people who can opt out of getting immunized without affecting the herd immunity. That may be true, but consider this: the average classroom size is around 20 students, give or take. That means we can "afford" two or fewer non-vaccinated children per classroom in order to maintain the herd immunity of a typical school. Keep in mind that there are legitimate health reasons to not get immunized. Consider Noah Chesler, the boy in the previously-linked KSL article who's received a bone marrow transplant and now has a suppressed immune system. He can't be vaccinated or he could die. Neither can any child who has cancer or any other condition causing immuno-suppression. They also can't risk catching measles, whooping cough or any other of those vaccine diseases you have the luxury of calling a mild inconvenience. To them, it's life or death. They are counting on herd immunity to survive. Other children have life-threatening allergies to the components of some vaccines and therefore, can't receive them. They are dependent upon herd immunity, too. Still think your special snowflake falls into that 10 percent who can skip their shots? Well, fine. It's your right to opt out, I suppose (though, I firmly believe public and charter schools should mandate vaccines for attendance, with only medically-related exemptions allowed). If you want to bury your head in the proverbial sand, here's a shovel. Just don't call your purported reasoning "research," because it's not. All you've really done is used the Internet to locate a handful of bias-confirming conspiracy theories, blogs, personal anecdotes and the like. If you don't want to vaccinate your kids despite centuries of actual medical research telling you otherwise -- fine. As I said before, it's currently your right to do so. But please, don't call your impassioned Google searches "research." The actual research has been done by qualified scientists and doctors, and it speaks for itself. I've heard it said, "Vaccines are a personal choice." Except, they're not. See, this whole vaccine debate -- it's not about YOU. It's about all of us! When you allow your child to be that extra kid who tips the herd immunity threshold, your choice affects everyone. First, in their classroom. Then, in their school. Then, in your community, Then, your state. Then ... well, you see where this is going. Turns out, your choice is not so personal after all. If you're a scared parent who's on the fence about vaccines, I urge you to read the studies I linked before (here they are again). They are very current and address all those common concerns you've heard about -- vaccine injury, autism, inflammatory bowel disease, etc. These are REAL studies, not the fear-mongering faux science that has scared so many from employing common sense in these matters. As for me and my house, we vaccinate. We understand the concept of herd immunity and the protection it affords those who are too delicate to receive immunizations. We don't want to bring back the diseases that claimed the lives of our ancestors before us. We take the very small, very unlikely risk that our shots will do more than just sting for a bit. We do it because we get it. Amen! Also you were pretty nice about the whole thing, usually i just want to hit people who say they don't vaccinate because they child is going to get autism or whatever. LOVE this. As a mom to 2 tiny preemies, they were at risk of catching all sorts of things until they were big enough and their bodies healthy enough. We now vaccinate those same kiddos -who- thankfully are very healthy today. YES TO ALL OF THIS. You are my favorite. Vaccines are soooooo important. I love that they were invented! After reading this I heart ❤ you even more.